This is the most recent information about Cathy Dennis that has been submitted to amIright. If we have more information about Cathy Dennis, then we provide a link to the section where it appears (the actual page whenever possible). "Just Another Dram" originally "Just Another Dream"
"Just Another Ream" originally "Just Another Dream"
"To Many Walls" originally "Too Many Walls"
"You Lined To Me" originally "You Lied To Me"
Could also pertain to baseball. "You Flied To Me" originally "You Lied To Me"
"Took Many Walls" originally "Too Many Walls"
"Just Another Dread" originally "Just Another Dream"
"Just Another Bream" originally "Just Another Dream"
Caught by one hoping for bigger fish? "Too Many Walts" originally "Too Many Walls"
Too many people named "Walt"? "Too Many Wails" originally "Too Many Walls"
"Just Another Cream" originally "Just Another Dream"
"Touch Me (All Night Long)" "Truss Me (All Night Long)" Robert D. Arndt Jr.
"Touch Me (All Night Long)" "Target Them (With a Drone)" Robert D. Arndt Jr.
Would be impossible. Cathy Carr (b. Angelina Helen Catherine Cordovano) died November 22nd, 1988, although the cause of her death is unknown. 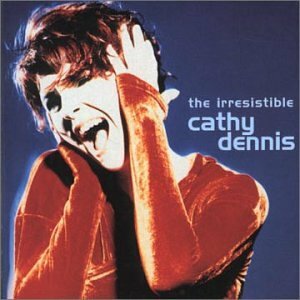 This was before Cathy Dennis entered the music scene. "Touch Me (All Night Long)"
Come out with the peahen. You've got to go with the feeling. "You Lied Tom E." originally "You Lied To Me"
"Sally Mota Won" originally "Too Many Walls"
"Woman Lays Lot" originally "Too Many Walls"
"You Timed Leo" originally "You Lied To Me"
"Almost Any Owl" originally "Too Many Walls"
"Ma Allows Tony" originally "Too Many Walls"